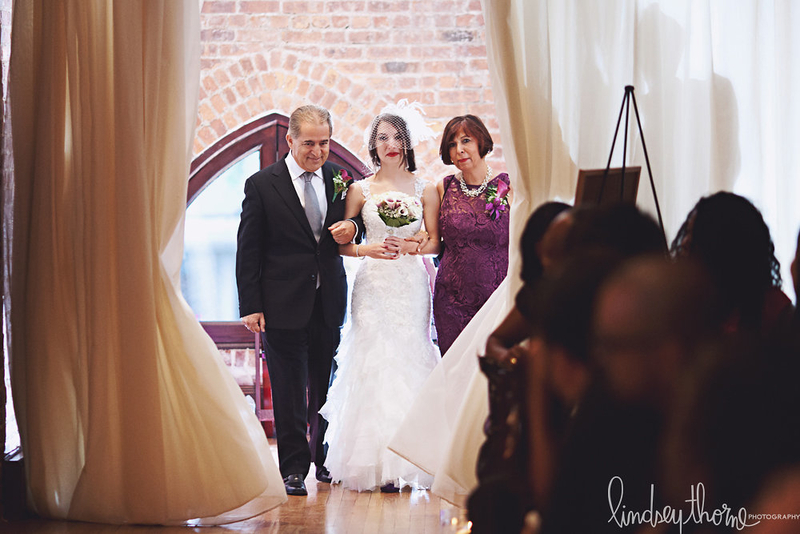 Ghazalle & Eulas’s Magical Brooklyn Wedding was captured by Lindsey Thorne Photography. 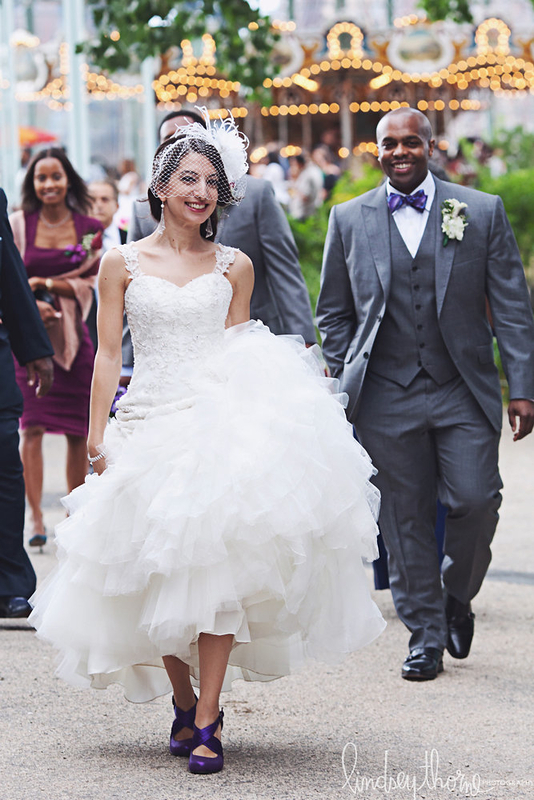 While Ghazalle got ready at the ultra-hip Nu Hotel, Eulas waited for his Bride at the Brooklyn Bridge Park. 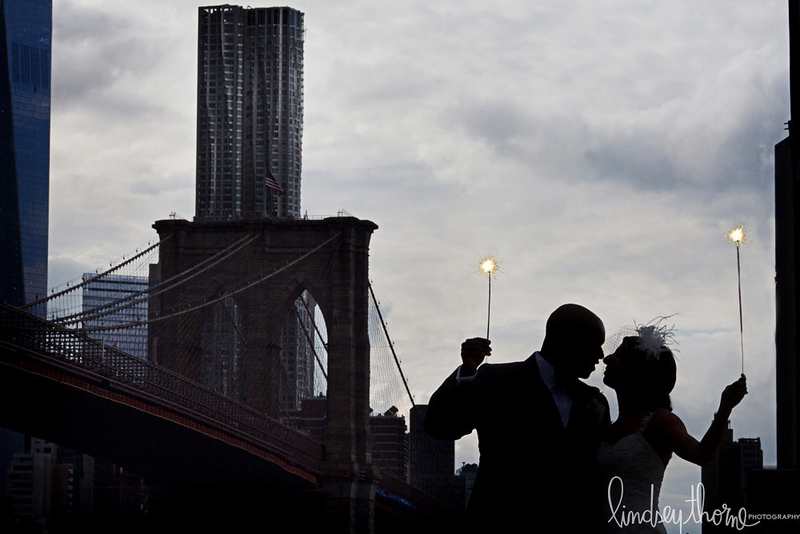 This lovely couple had their first look with the dramatic background of the Brooklyn Bridge. 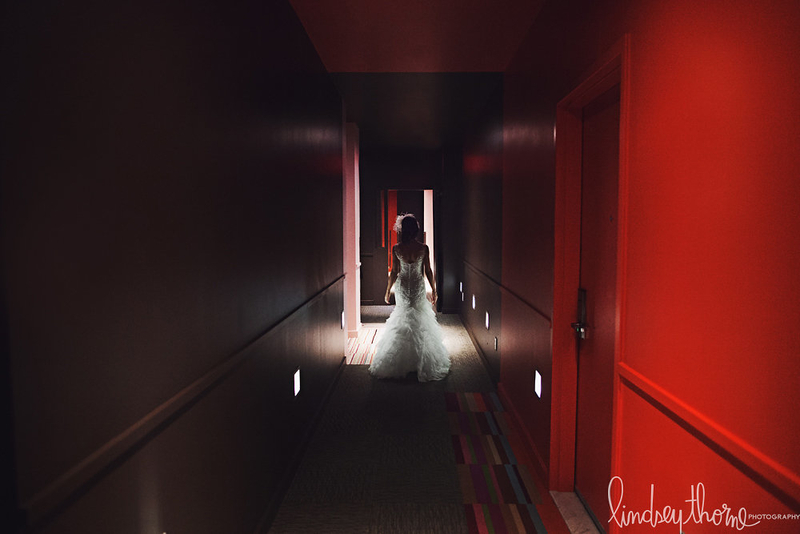 Following this moment, the Bridal party moved through the park and to Jane’s Carousel for a once-in-a-lifetime photo shoot. 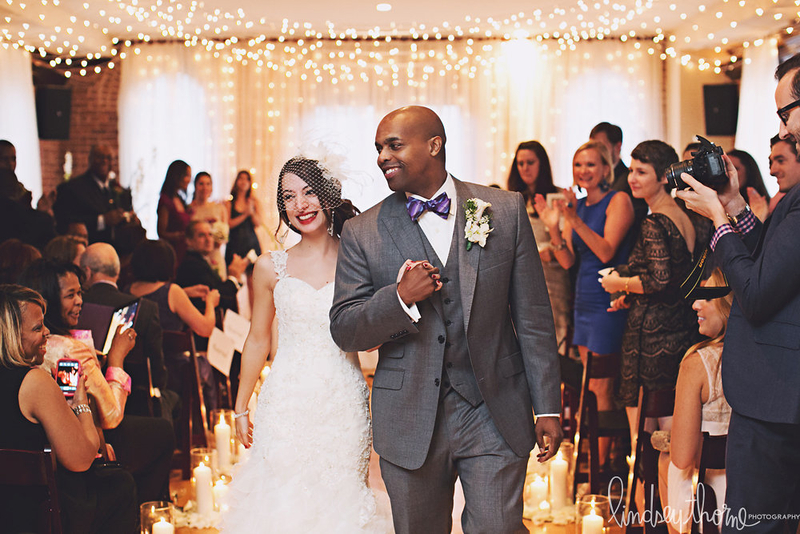 This fabulous crew made their way to Deity Wedding & Event Venue in Downtown Brooklyn for the Ceremony & Reception. 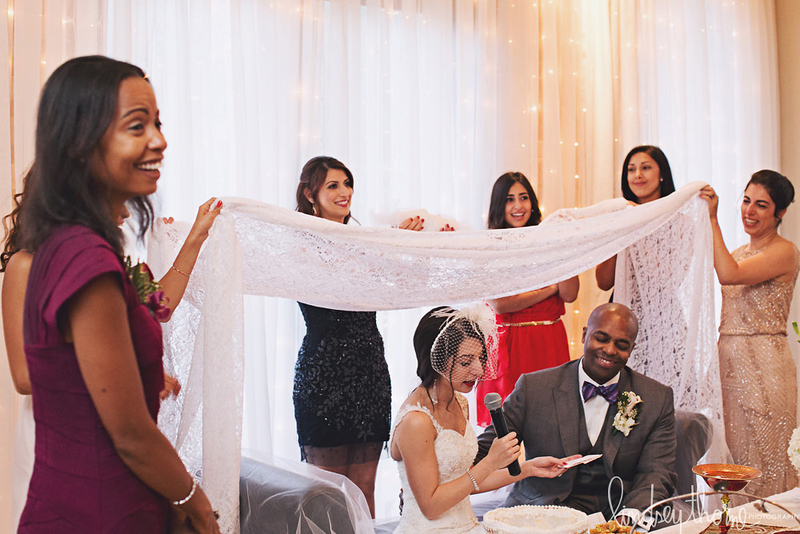 For their Ceremony, the Mother and Aunt of the Bride created a Persian Wedding Table where the vows were to be exchanged. 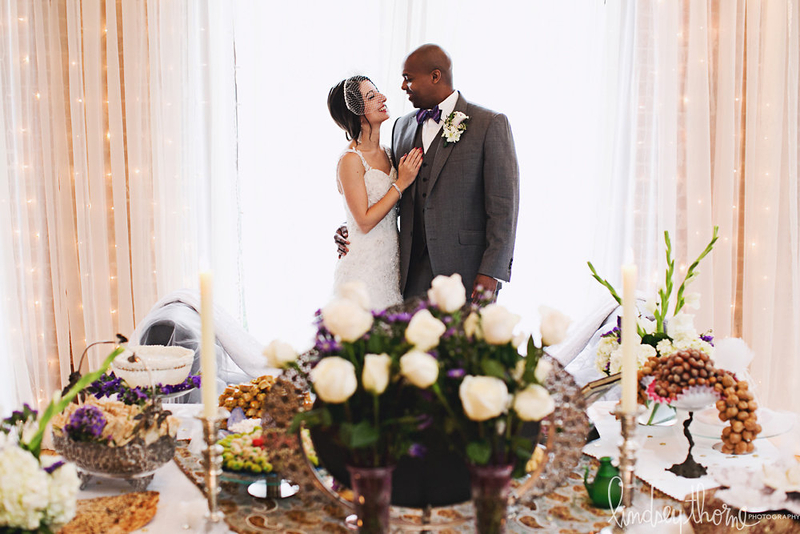 This elaborate spread included candles, coins, mirrors, sweets and drinks, all to signify different aspects of a marriage in Iranian tradition. 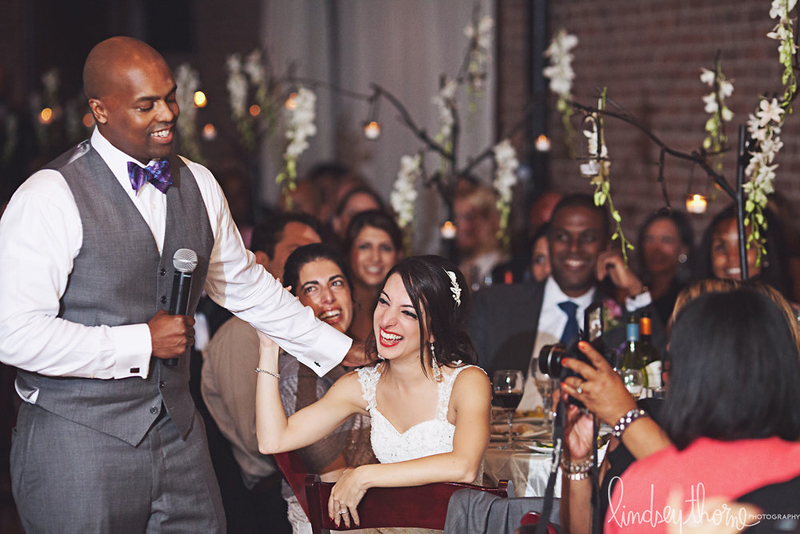 The Wedding party was accompanied by music provided by professional Violinists, which added a classic, romantic mood to the day. 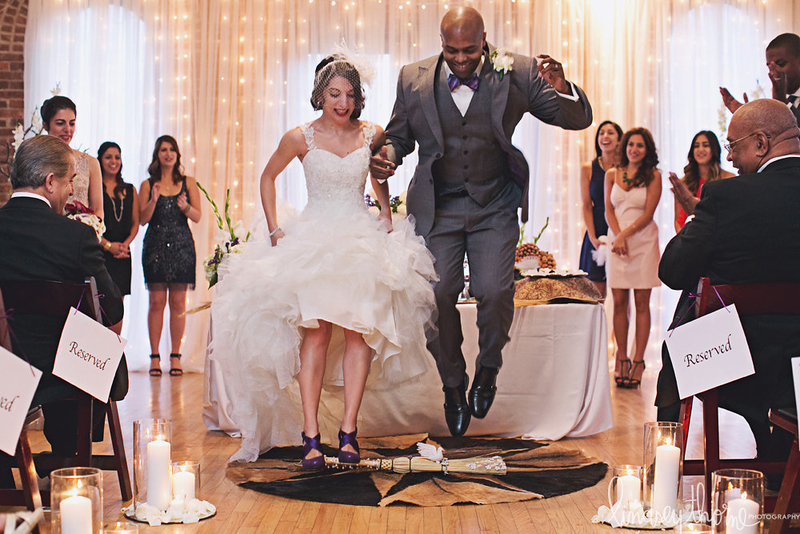 After the vows were said, the couple “Jumped the Broom”, celebrating the African American culture of the Groom. While guests noshed on Hors D’oeuvres, a Harpist provided ambient music for Cocktail Hour. 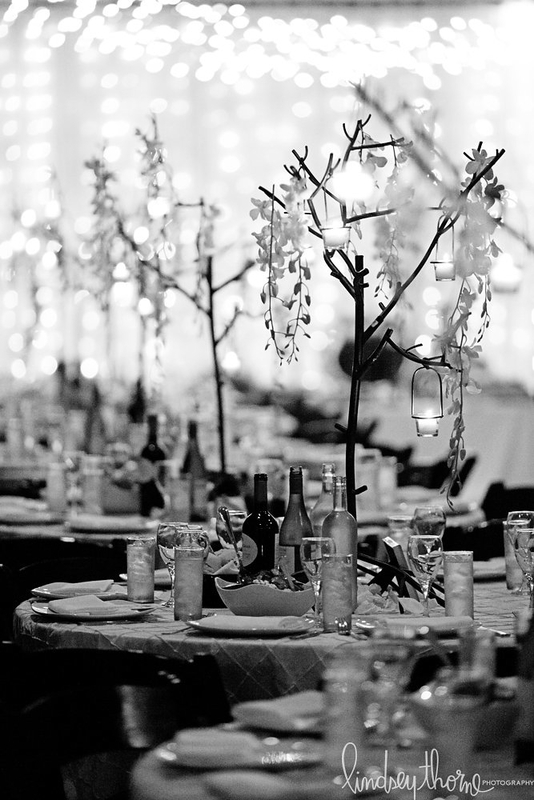 As the party moved into the Reception, they were greeted by dinner tables adorned with metal trees with white hanging orchids, candles and scattered rose petals. Dinner was followed by the Cake Cutting under Deity’s famous Tree of of Life. 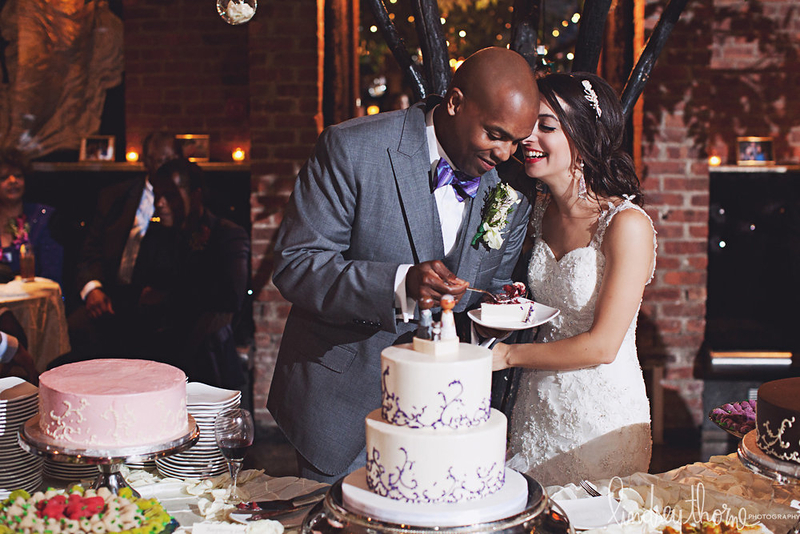 Three flavors of Wedding Cake were supplied by Empire Cake. After the guests enjoyed dessert, then came the Dancing. 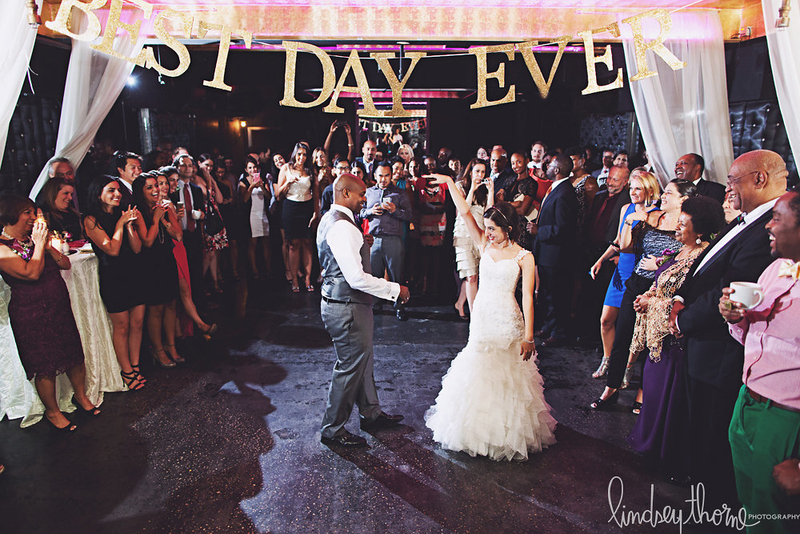 Draped across the lavendar-lit dance floor was the sign “Best Day Ever”. 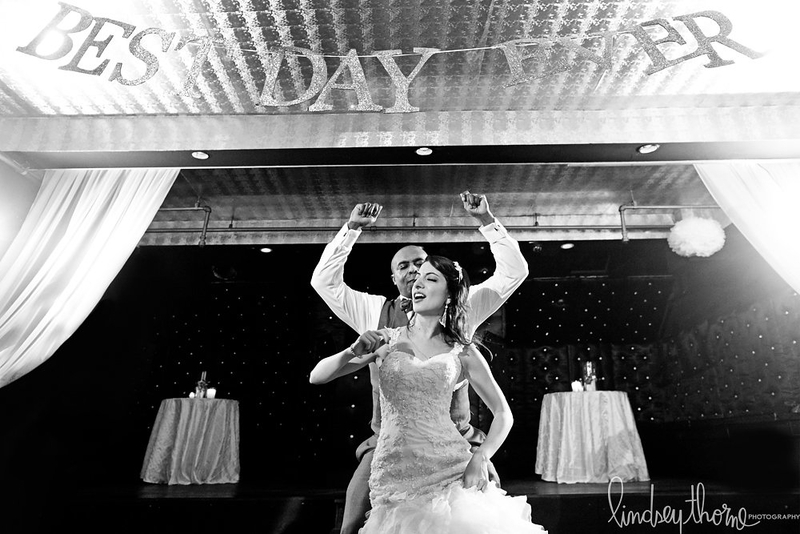 To view the full Gallery of Ghazalle & Eulas’s Wedding, click here.